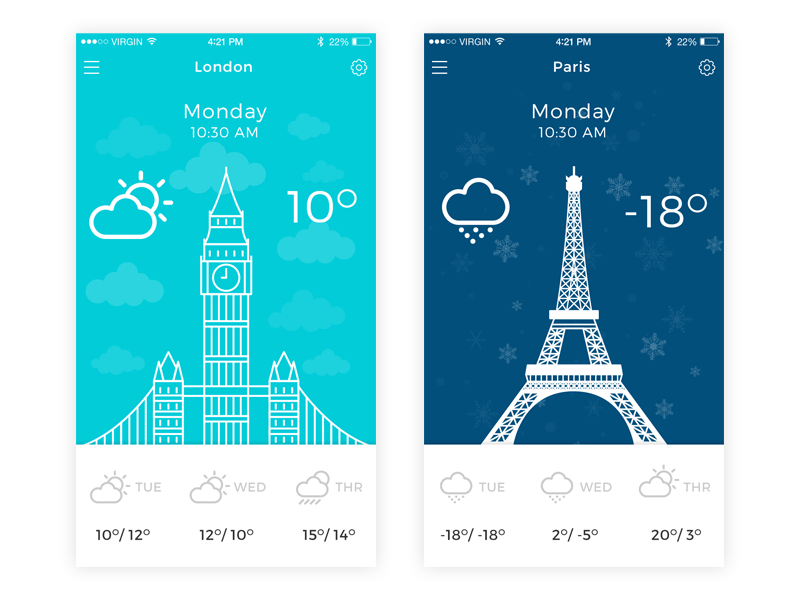 When we all make plans for holidays, there’s one thing we are most interested in: weather. 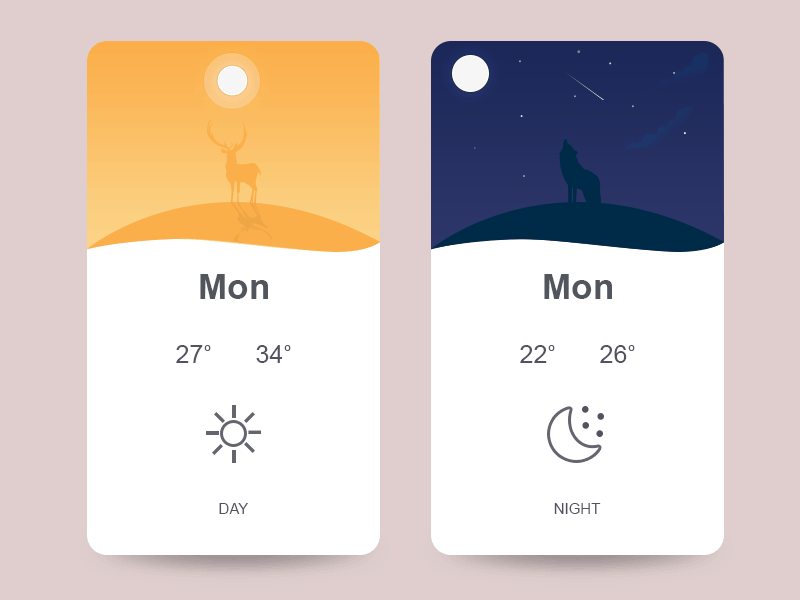 It’s summer, it’s hot, the water feels amazing today, but how about tomorrow? 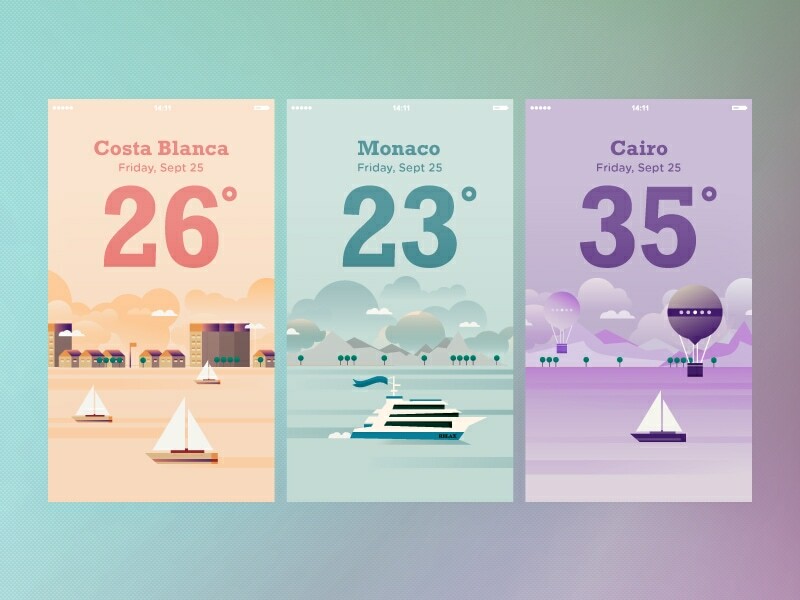 Today we have put together a steamy list of weather mobile app design for your inspiration, even if you are on holiday! 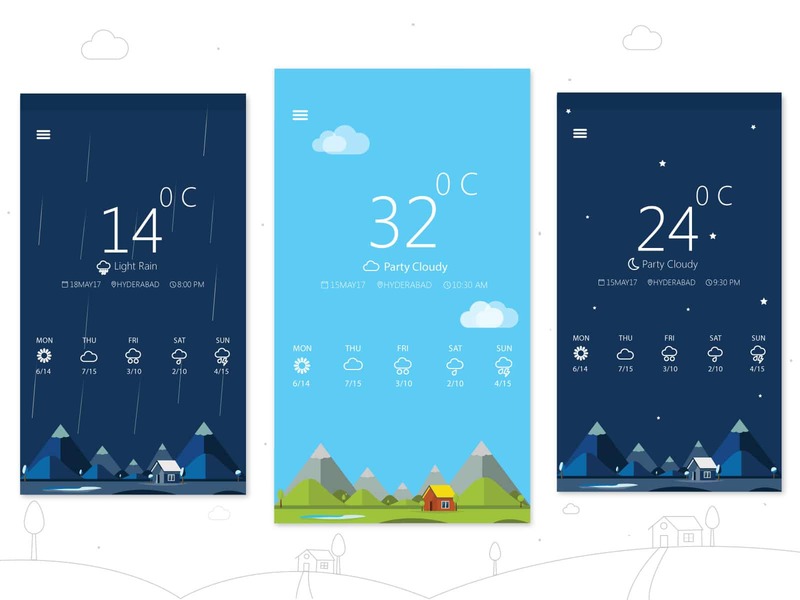 Let’s think what mobile apps you use every day? 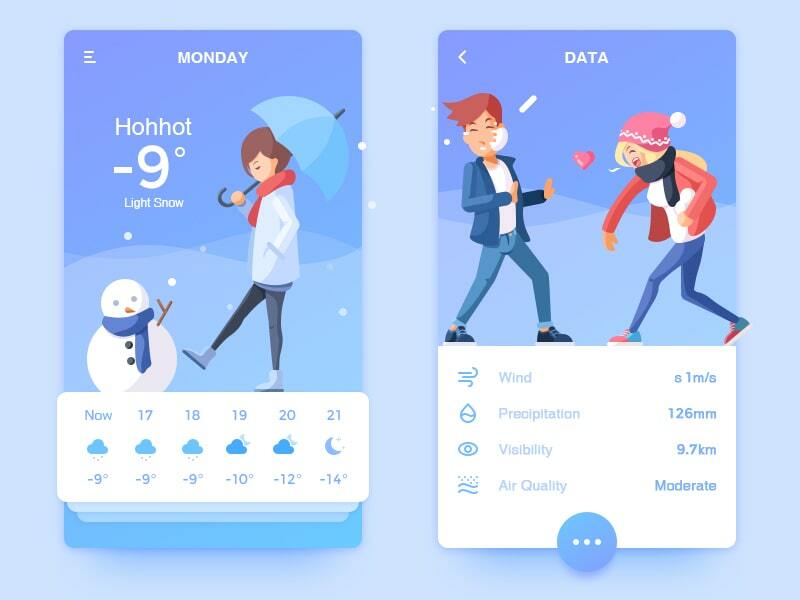 The most popular widely used everyday apps are Camera, photo editing apps, email app, social media apps, and without a doubt a weather app. 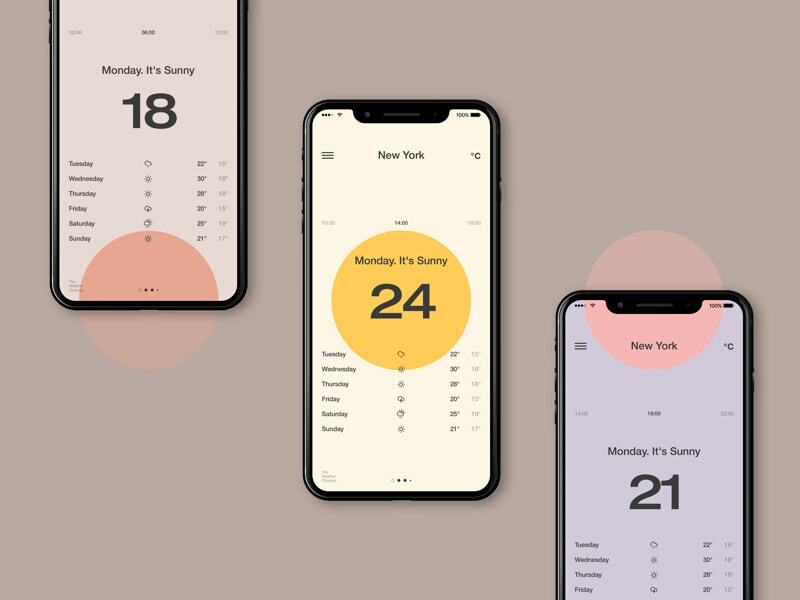 Although it’s not always 100% precis as a clock, the weather app can still guide us when planning the next day or week. 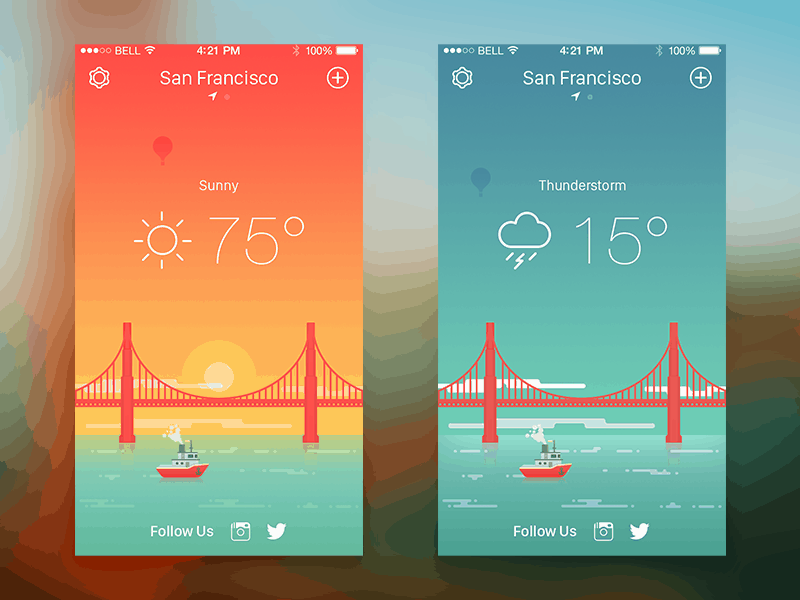 These days designers try their best to make a weather app not only useful but beautiful and colorful. 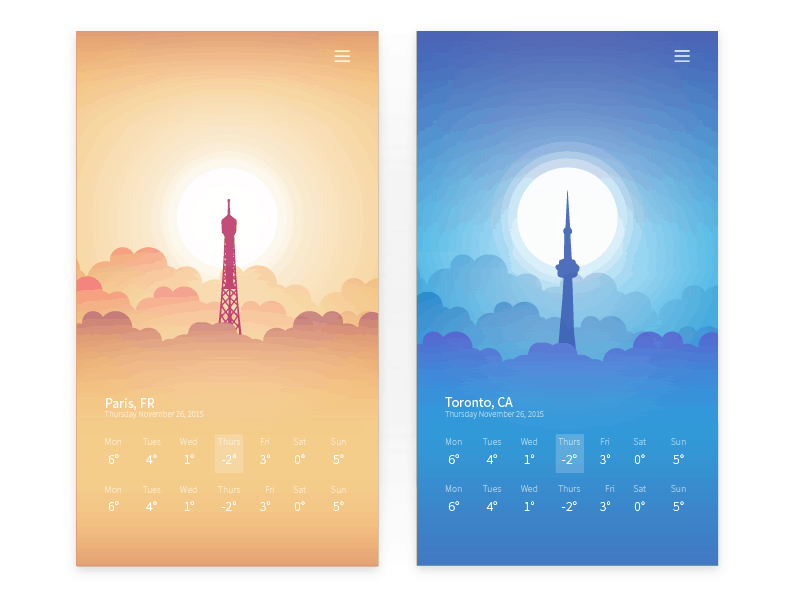 Some designers use cities and their attractions to show weather for a certain area. 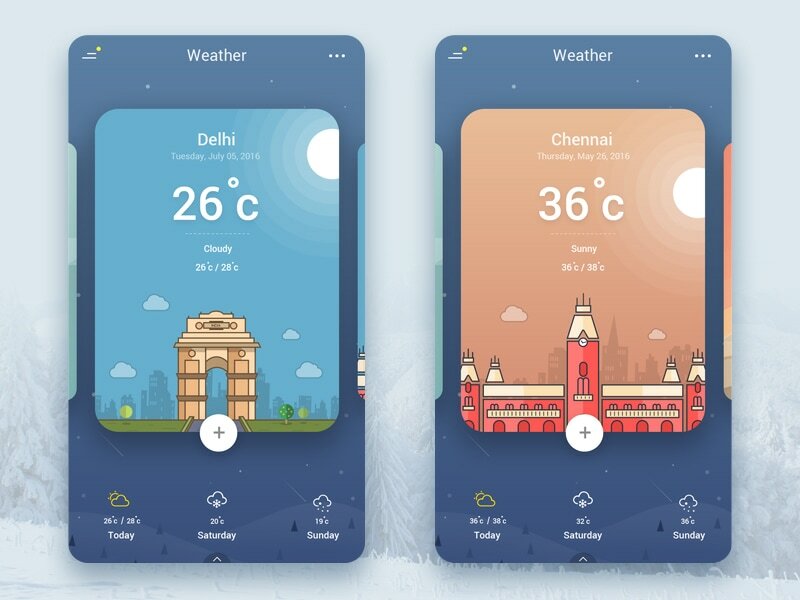 Sometimes, they choose a background for the app depending on weather conditions, it could be sunny, cloudy, rainy, and snowy. 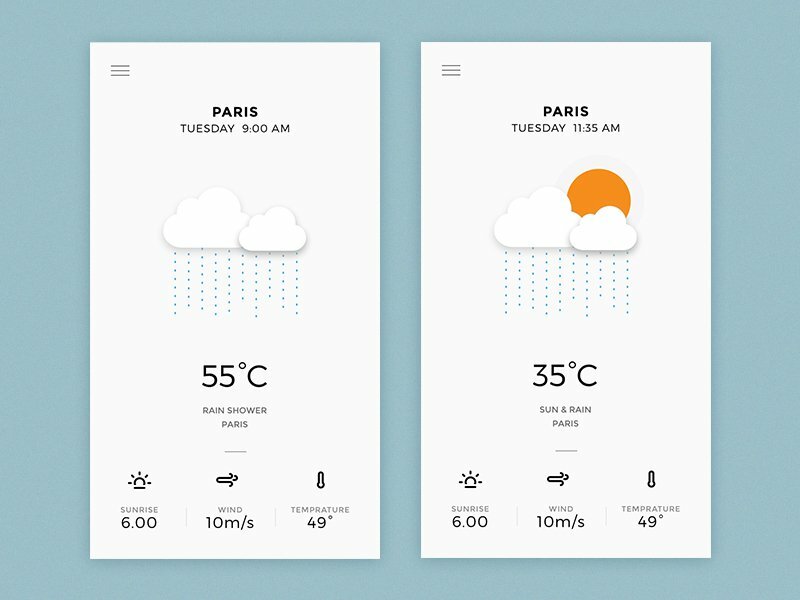 Besides, there are some apps with amazing animations, for example, when objects appear or thunderstorm shines in the background. 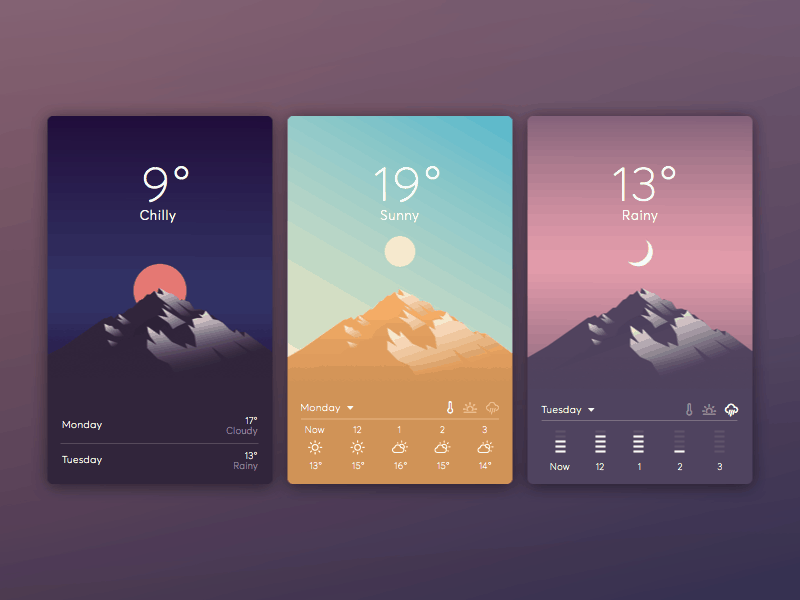 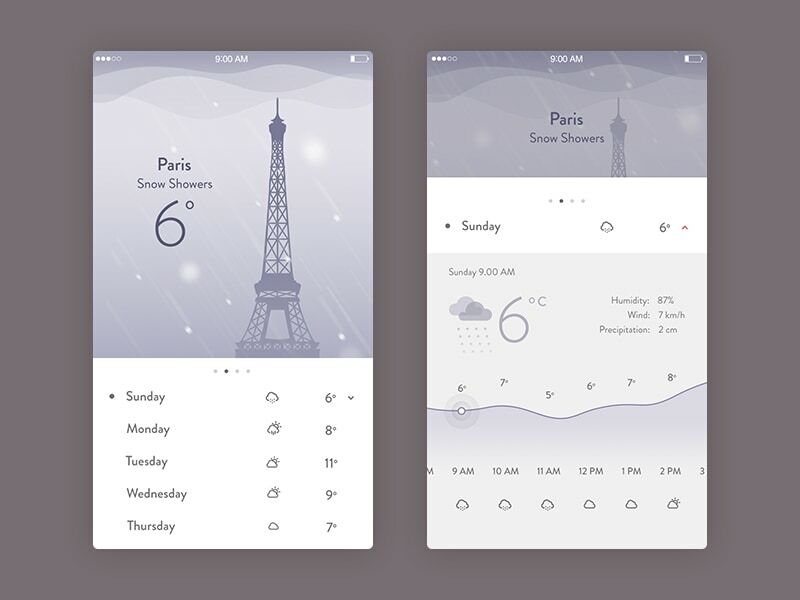 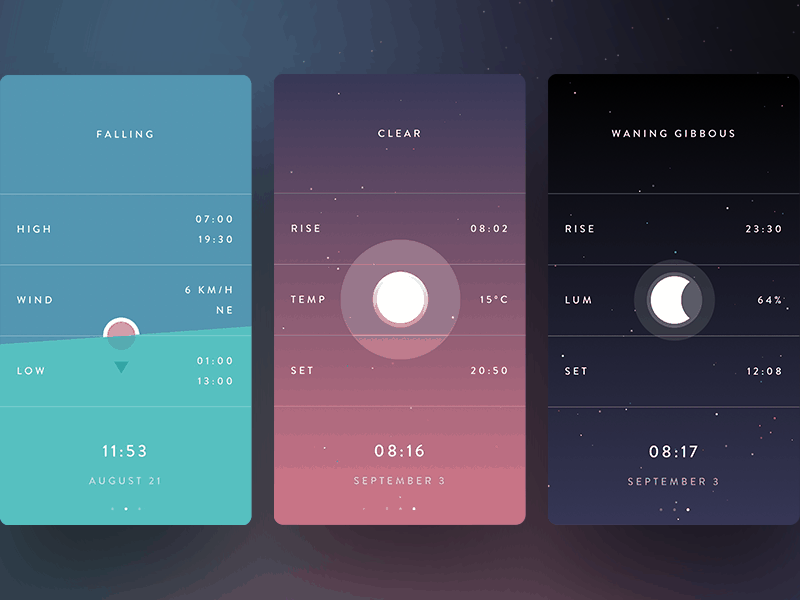 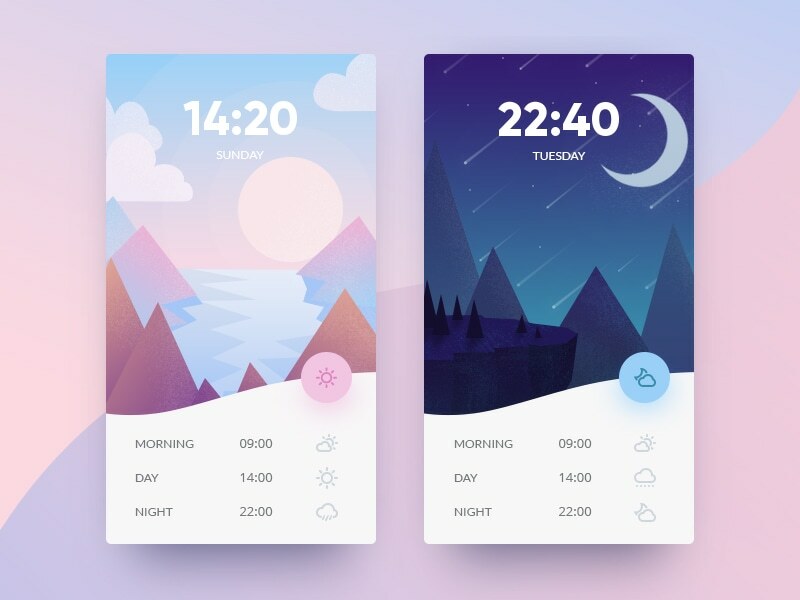 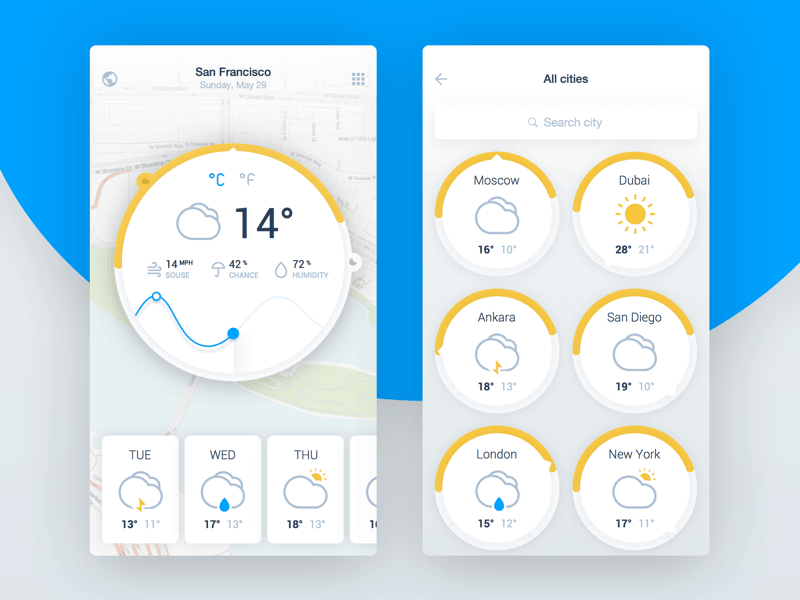 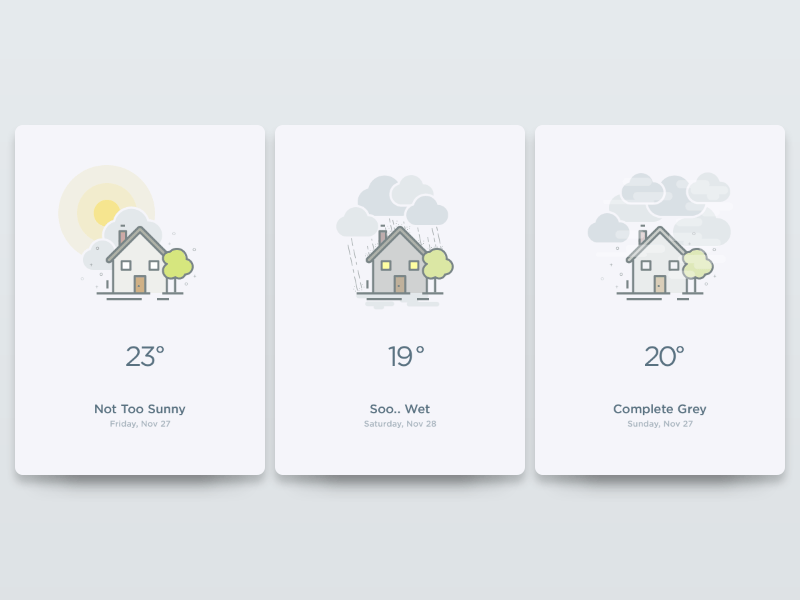 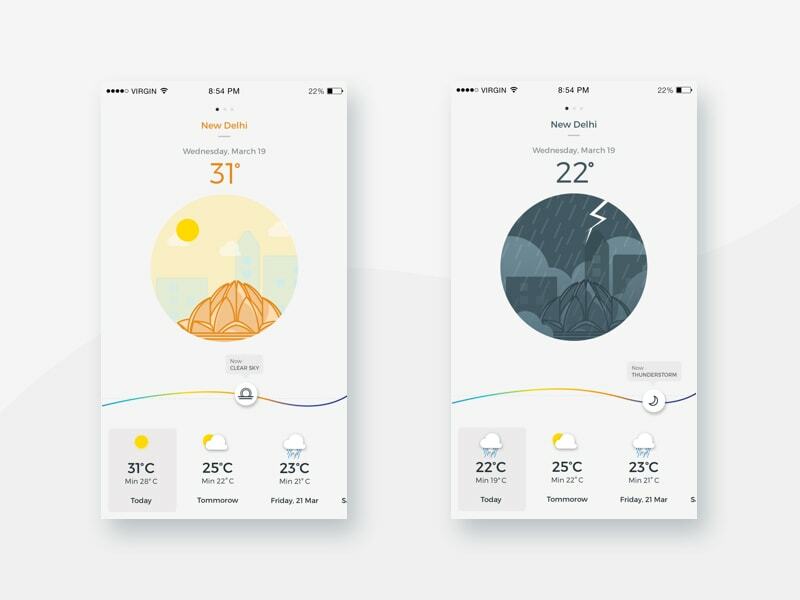 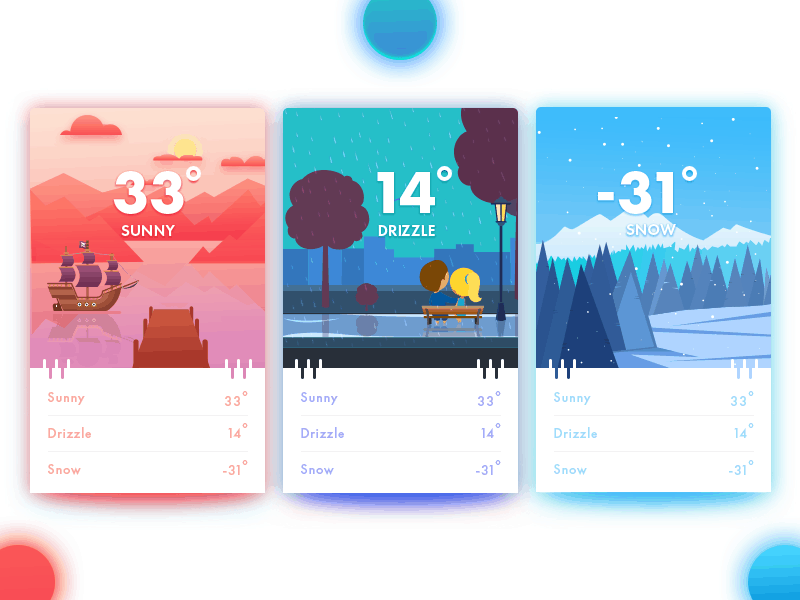 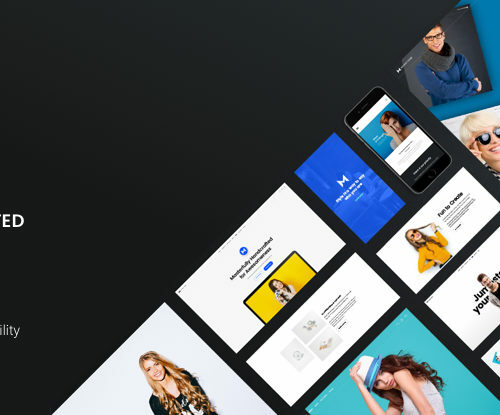 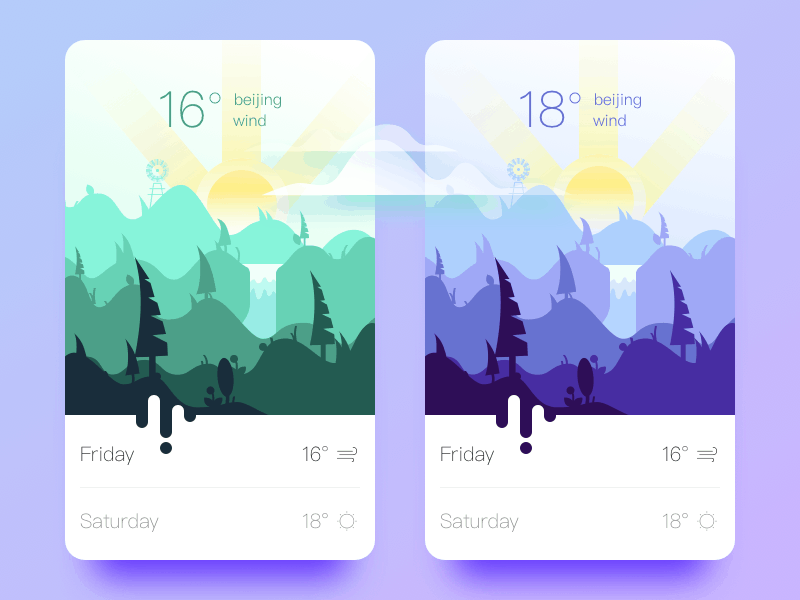 Scroll down to see our collection of inspirational weather app designs and concepts. 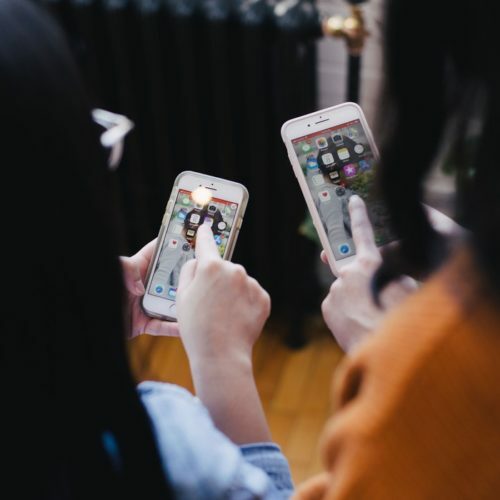 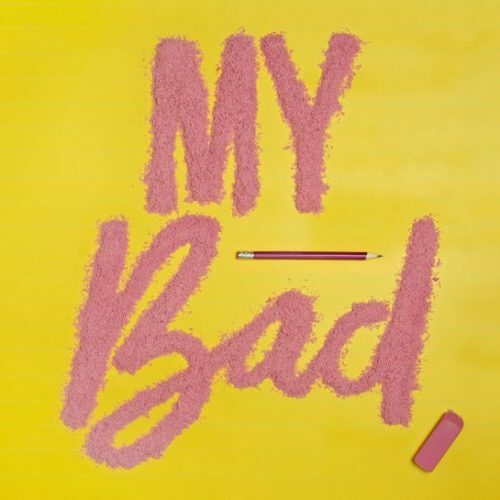 We wholeheartedly hope that you enjoying and found useful this article. 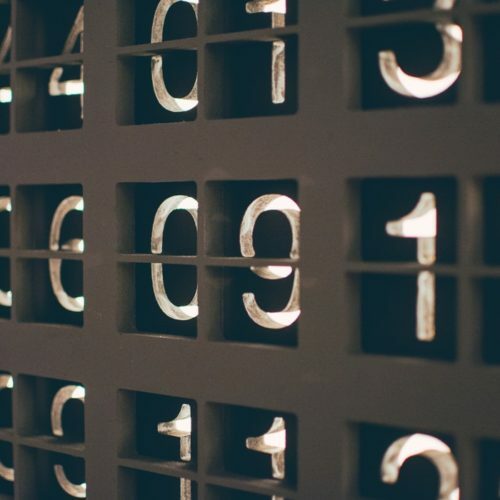 We try every day to shed a light on the things that could make a difference in the life of you, our designer readers. 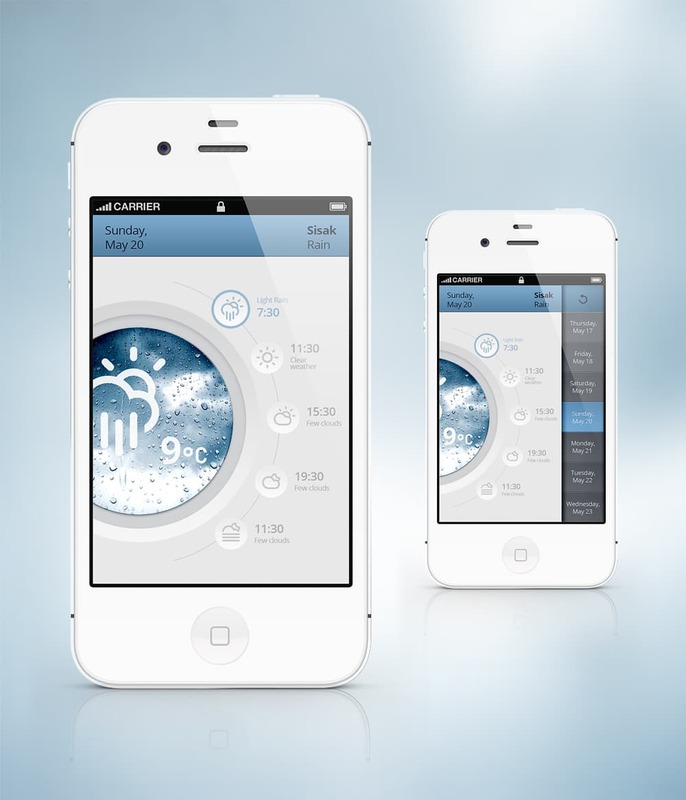 We also invite you to share this article with whom you thing could benefit from it. 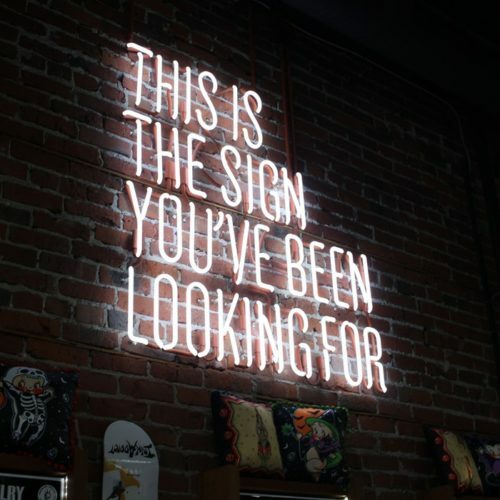 This way will help us continue writing about meaningful information, resources, and news for you all.